There are various forms of door entry systems, all used in different capacities in both domestic and commercial environments. Door entry systems can be wired or wireless, audible only or video and audio, standard or vandal resistant. The control panels can be installed flush with the exterior wall or surface mounted and, if replacing an existing control panel, the new control panel can even be uniquely manufactured to the same size as the panel being replaced to avoid unsightly filling around the new unit. The main control panel can feature interchangeable name plates or the panel can be engraved with the property address and/or flat numbers. 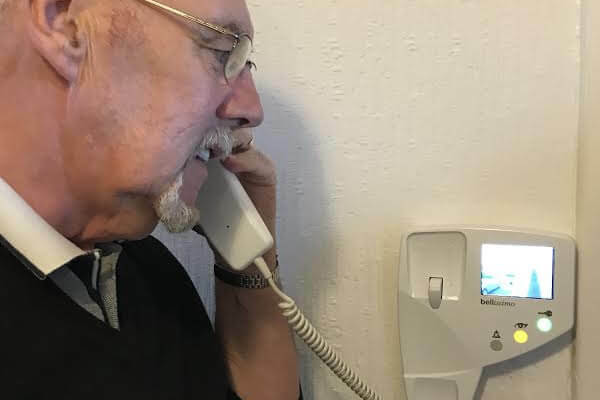 Handsets are available with privacy switches to avoid being disturbed at certain times and also feature a lock release button to allow visitors access to the building. Trades buttons are also an optional extra to allow access to postal and delivery services during certain times of the day/week. These systems are available from one way up to any size required. Control panels can be installed either flush with the external wall or surface mounted. A key can be used to gain access to the building but alternatively, can also be accessed using a proximity reader and key fob or with a keypad to allow entry using individual codes, some of which can record who and when tenants enter the building. The choice is yours. 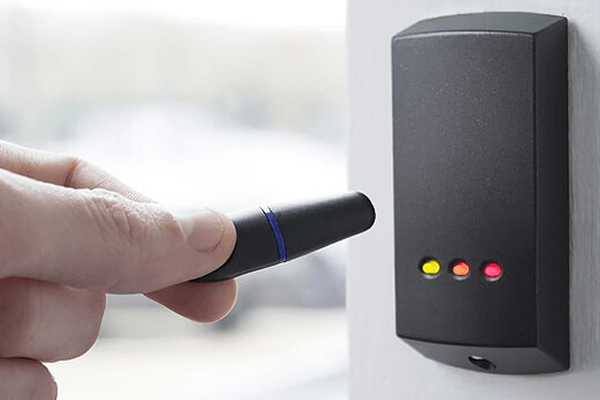 Access control systems are predominantly used to restrict access into specific areas of a building. We can provide any size of access control system, from a small standalone system to multiple door PC based systems. The PC based systems can be used to log employee’s start/finish times as well as log their journey around the building. Certain doors can be programmed for restricted access at certain times of the day as well. To gain access to an area you would use either a proximity swipe card/fob, enter a code on a keypad or the system could read your fingerprint (bio-metrics).